Sept. 23, 2010 when heavy rains hit South Central WI. from Arcadia to Black River Falls. This bridge was constructed on Brockway Road, Jackson County on a road owned by the Ho Chunk Nation. 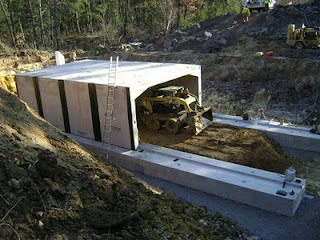 It replaced a failed metal culvert that was damaged. 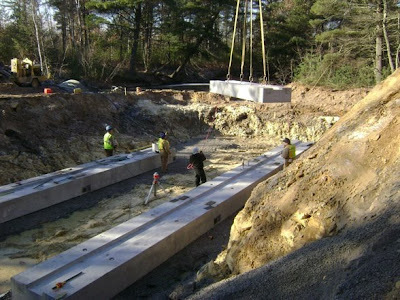 The roadway was completely destroyed and the Bureau of Indian affairs decided precast was the logical choice as they had experience working with Crest Precast in 2009 a mile south of this project at which another bridge was constructed. 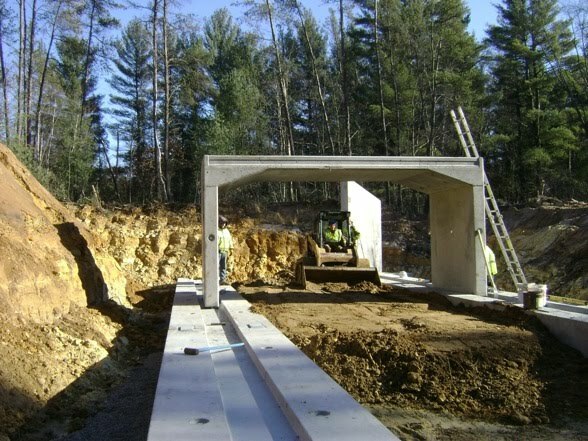 16' SPAN x 8' HIGH x 58' LONG 3 SIDED Hy Span (tm) BRIDGE was designed for 8' of cover and pavement. Each bridge section weighed 17.4 tons. Construction included precast footings and wing walls. 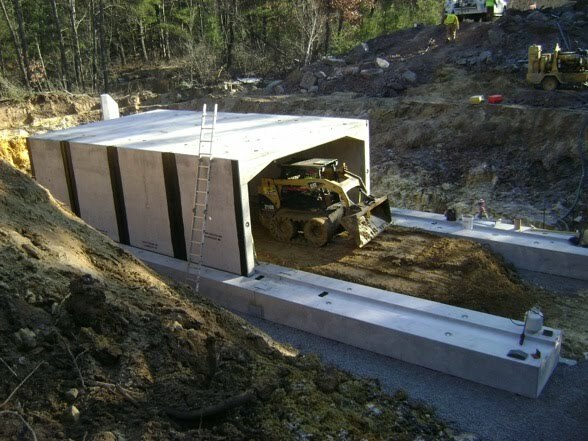 Precast sections can be placed in any weather as they are produced in a controlled plant environment. 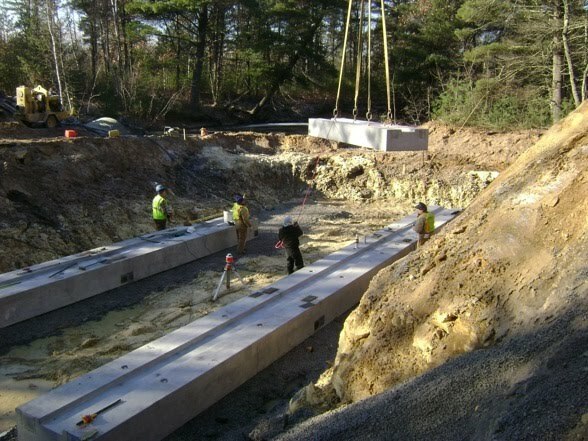 Crest Precast has been a certified NPCA plant for 15 years running, this gives the customer satisfaction they will receive a quality product built to proper engineering standards.